Toronto Police are looking for a man for an attempted sexual assault. 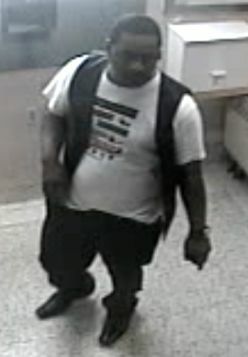 The suspect is black, around 30, about 5’7″, and chubby. He is alleged to have approached a woman in the elevator of a building in the Weston Road and Lawrence area. He sexually assaulted her, but she was able to break free and flee. The suspect was caught on camera while leaving the area.